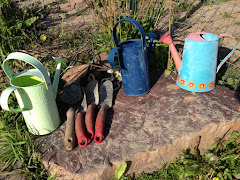 today's post is a response to a question on handwork for children under seven, it was originally posted, by me, on March 27, 2011, in my Yahoo group, Waldorf Early Childhood ~ Bringing it Home. It is adapted and edited for clarity of meaning. Knowing why we do what we do and doing it with intention....not arbitrarily following a theme for the week or the month, but discovering within what resonates, and knowing why, how it serves the developmental picture of the child, is a lesson from one of my mentors, that deeply touched me then and has remained with me through the years. The Waldorf kindergarten curriculum is based on the seasonal and festival life of the year, the inner and outer gestures of the turn of the year. This is the foundation. When it comes to handwork in the nursery and kindergarten years, there are always questions about what to do with the children. We live in a broader culture that values gluing food on paper and making items that have no beauty and no practical use, to show that the children were given something to do, to keep them busy. We see so many images online of crafts. What Handwork to do with the Young Child? So much with Steiner -Waldorf education is a question of timing, the approach to handwork is based on the developmental picture of the child. You can read more about that bigger picture here. When we turn to the early years, we can look outside our windows for inspiration, and look within for the inner gesture of the season. What are we experiencing? Expansion? Contraction? Warmth? Cold? Movement? Stillness? Mother Nature brings a rhythm of her own that the child can experience first hand. There are apples to pick and eat and make things with in autumn, snow in winter, maple syrup in spring and food and flowers galore in summer. Mother Earth provides for her children. There are squirrels to watch, busy gathering nuts, geese flying south, snow falling, snowmen and snow forts to build, birdies building their nests. Nature provides. Abundance. Bounty. Beauty. Inspiration. Movement. Action. Doing. Crafting is not necessary in early childhood. Crafting is great for parents who want to make toys for the children, decorate for the season or holidays, make gifts, clothing or beautiful things for the home. The work of the adult provides an example of doing, of engaging the will, of process, of completion, for the child to experience inwardly. Don’t sacrifice movement, time in nature and the gift of participating in daily life, daily care of the home, in the name of craft making for the child to do. They’ll be time for that later. Plenty. On beeswax in the early years. I have come to see how it has become misconstrued and misunderstood. Poor beeswax. The emphasis on beeswax as a staple of the Waldorf curriculum and the forming of particular objects with putting tops and spots on things, and adding eyes and arms, as if it were a Mr. Potato Head, oh the poor misunderstood gesture, please let that wait. The form is meant to arise from within the whole. And later in the grades, with conscious leading out, of fine art. Read Michael Howard’s, Educating the Will, a wonderful book for a deeper understanding of sculpture and modeling in Waldorf education, as a process of leading out. My personal plea for the beeswax is to let beeswax be the foundation for the fine art of modeling rather than a Mr. Potato Head type craft. What to do to model and sculpt? Knead dough, make homemade dough. Do fingerplays. Tie shoelaces. Wrap presents. Make bows. Let daily life and practical needs define the activities. Let’s give the beeswax its proper place as a fine art and treat it with respect and care and understanding of its place and important role. this is the handwork of early childhood. Add moments for scissors and tape, and homemade play dough and making bundles and tying laces and building from cardboard boxes, what a magical world exists for the young child in there! The young child does not have a developmental need to create an end product that is physical, that is the work of the adult. Tying shoe laces, wrapping gifts…the child’s natural inclinations tell us a good deal about the child’s developmental needs. The child's end product is completing the task, seeing it through, the doing. Buttoning the sweater. Pulling up the zipper. Making good habits that involve the use of the hands. Doing tasks that we do over and over and over again. Every day. This may feel monotonous to us, but to the growing child, it is rich with opportunity to practice and learn through daily life. It might be putting the boots on the mat, clearing the dishes after a meal, imitating the adult in sweeping the floor after a meal, this is the child living into life with movement and connection to life and to humans, the first connection to other humans. If you knit or sew, do woodworking, or other types of work with your hands, your child may want to join you. By all means, gently guide him or her in with simple projects. It may be sewing simple stitches on burlap or fabric from the rag bag. Or hammering nails into a stump. If you want to make a gift for someone, this is something the young child may join in or do on his or her own quite spontaneously, and by all means support that. Just don’t feel you need to set him or her up will all sorts of busy work and craft projects. Let life be the curriculum with the daily work of caring for the self and the home: sweeping, washing, folding, raking, shoveling, harvesting, stirring and chopping, let this meaningful and productive work be the handwork of the young child. The specific craft projects will come in first grade and a very rich curriculum unfolds in Waldorf education for the child. On the other hand, the older kindergarten child, at age 6 and older, maybe ready to join you with craft projects. Rather than set it up for the child to do, let the child come alongside you and initiate joining in. If it involves an apron, have one ready for the child. If the child needs a step to reach the sink, have it available. Have sturdy child size tools, a rake, a shovel for dirt, a snow shovel, have one for each child. No need to tell the child anything, just have the tools out and the child will find them. 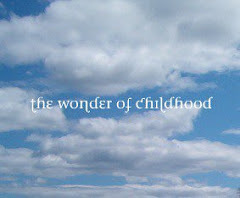 What the child mostly needs is the adult to provide time and space to be outdoors with plenty of opportunity for self initiated movement and for daydreaming and boredom for it is in the boredom that the imagination is kindled. expect Crafts from 18month old toddlers on up. This stress on me to try to produce them via the child is stressful for all. . . I am now going to change things and offer a new program based on your suggestions . . . I know the children will be more grounded, happier and creative with the one trick pony crafts for each and every Holiday. learning & creative experiences for a whole child! Thank you for sharing this lovely perspective on handwork in early childhood. I came to it while searching for meaningful handwork curriculum resources for our daycare. How glad I was to find that instead of forcefully creating projects for the children to do I can put my effort toward including them in the chores of daily life! Which of course I already knew or had some sense of (likely why I've been struggling with the handwork curriculum) but this article put it so beautifully. Much gratitude for sharing your thoughts.